Most Samsung smart phone users save their photos in the SD card instead of the internal memory of their phone. This will keep their phones run faster. If you have too many pictures saved in the internal storage of your Samsung phone, it will be really slow. So keep your pictures on SD Card is a smart way to avoid that. If you accidentally delete or lose pictures from Samsung SD card, is there any way to get back them? In this article, I will show you how to recover lost/deleted pictures from Samsung SD card. There are two parts in this article. If your SD card is still in your phone, you can follow the first part. If your phone is broken or lost, you still have the SD card, you can read the second part. To recover deleted or lost pictures from Samsung SD card, you need to use Samsung Data Recovery program. It can scan your SD Card deeply to find the lost photos for you. You can preview them and then get back any of them from your Samsung SD card to computer. Free download, install and run Samsung SD Card Recovery program on your computer. Connect your phone to your computer via USB cable. This program will detect your phone and try to load your phone to it. In order to scan your SD card, you need to enable the USB debugging mode on your Samsung phone. 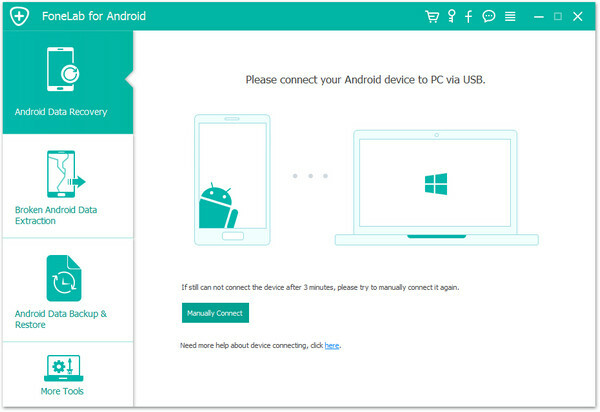 This will make this program can fully connect your Samsung smart phone. 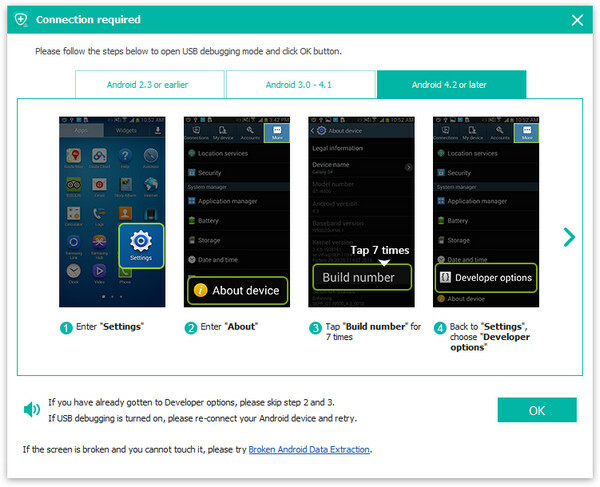 On the interface, you can select the data types you want to recover from your Samsung SD card. After that, click “Next” button. You need to allow the SuperUser authorization request from this recovery software on your Samsung phone’s screen. Click “Allow/Grant” button on it, this program will have the right to scan your phone and SD card deeply. The scanning will begin after that and you need to wait until the scanning process finishes. After scanning, you can find all the lost and deleted photos of your SD card on the interface. You can select any of them to preview. 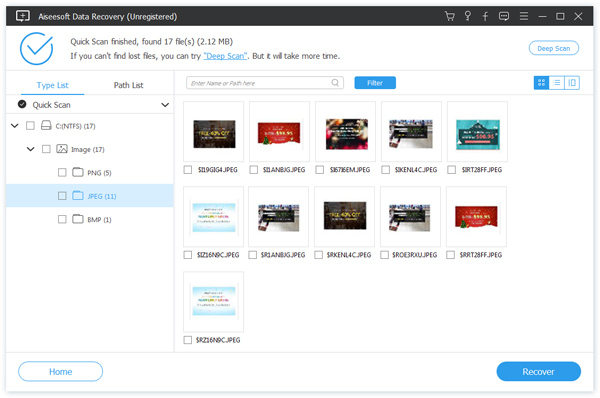 Click “Recover” button, this program will recover all the selected photos and pictures from your Samsung SD card to computer. If the Samsung phone is broken or lost, you still can recover the photos from your Samsung SD card. This time, you need to use Data Recovery program to help. It can scan your SD card directly and find the lost or deleted pictures for you. Install and run this recovery program on your computer. Connect your SD card with a card reader to your computer. This software will detect your SD card and show its name on the main interface at the second section. Select “Image” as the file types you want to recover and select the SD card’s name as the location you want to scan. Click “Scan” button, this program will begin to scan your Samsung SD card deeply to find the deleted and lost photos for you. After scanning, you will see all the photos and pictures in this memory card. 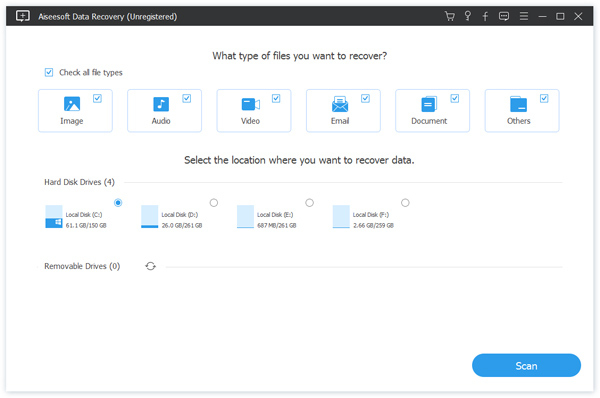 You can select and recover any of them from your Samsung SD card to computer easily. No matter if you have the Samsung smart phone, you can recover deleted or lost pictures from Samsung SD card easily after reading my article. Hope this will be helpful to you when you want to get back some important photos from your Samsung SD card. How to recover deleted text messages from Android? 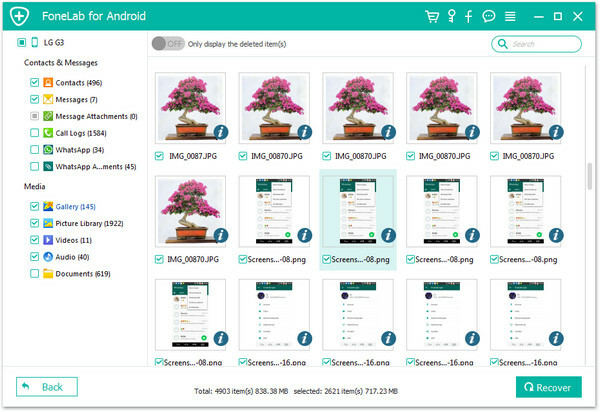 How to Recover Deleted Photos from Android? How to Retrieve Deleted Text Messages from Samsung? How to Recover Deleted Contacts from Android? Copyright © 2019 bestandroiddatarecovery.com All Rights Reserved.